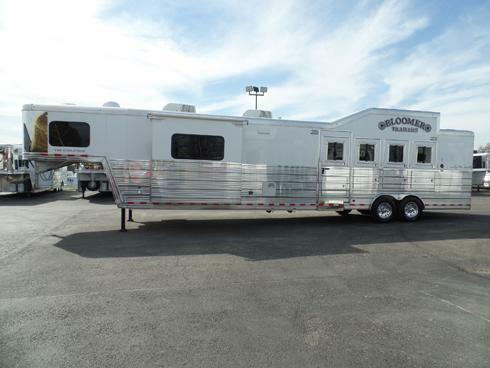 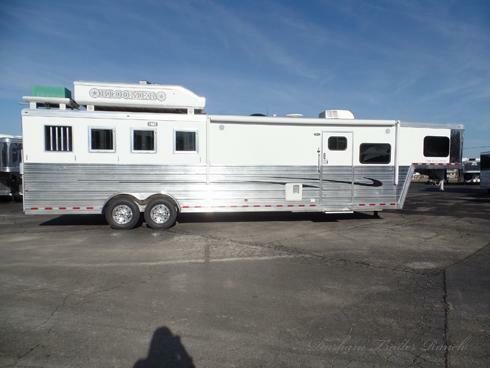 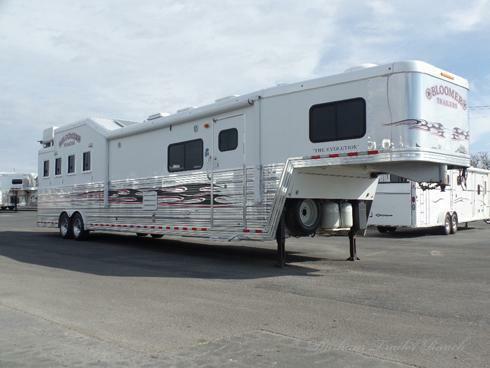 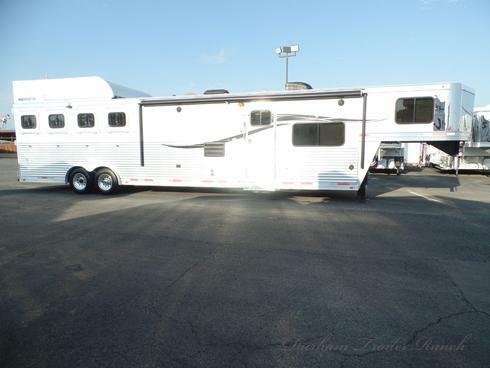 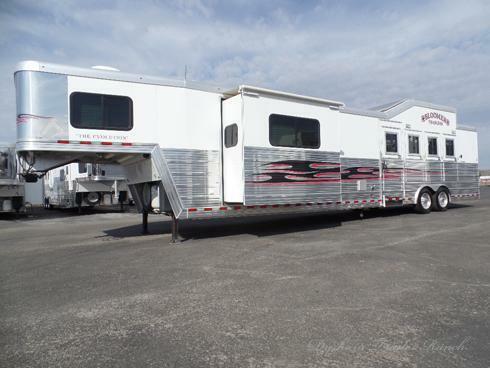 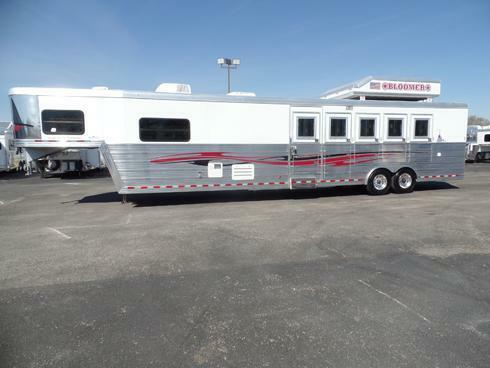 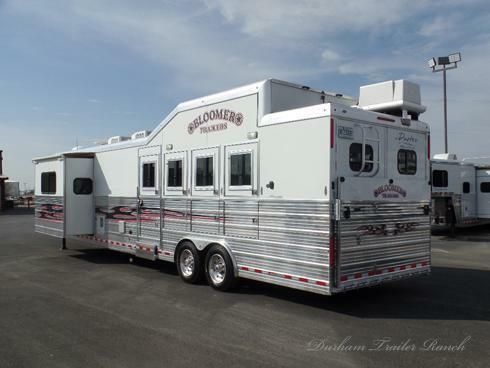 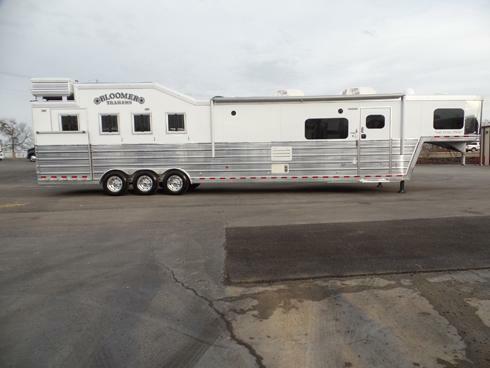 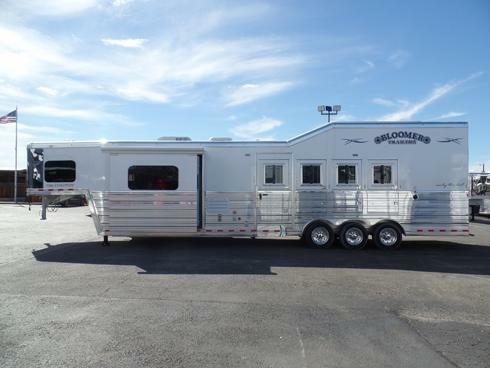 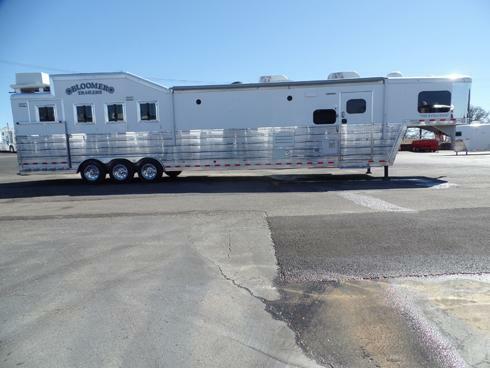 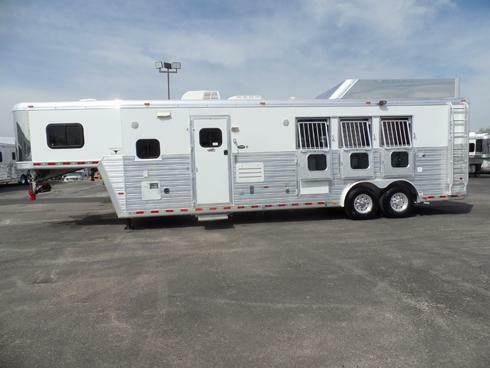 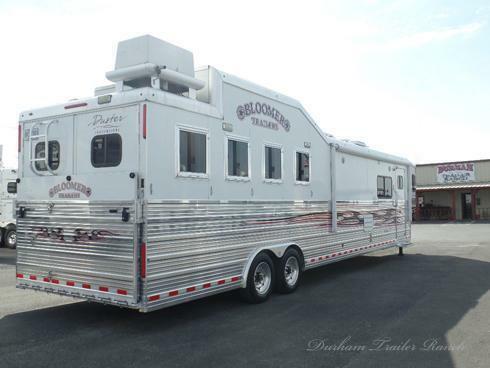 2010 Bloomer 4 Horse with a 17' Short Wall. 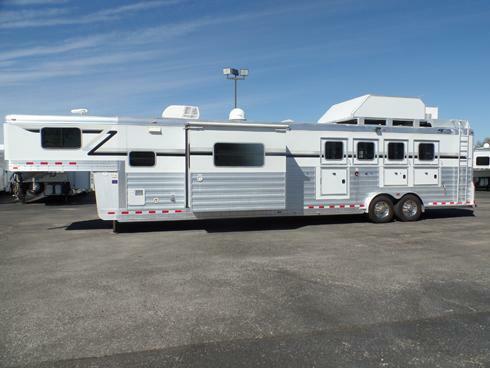 Roof Mounted Onan 550 Generator with 2500 Hours. 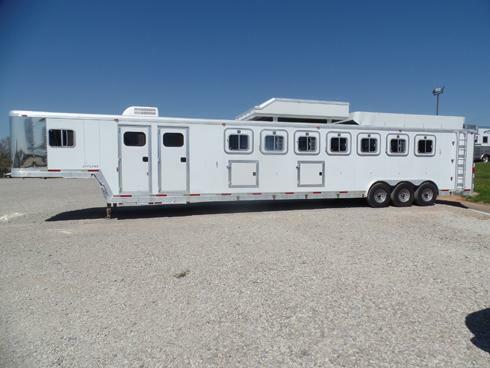 8' Hay Pod with Water Tank, 20' Awning, and Solar Panel. 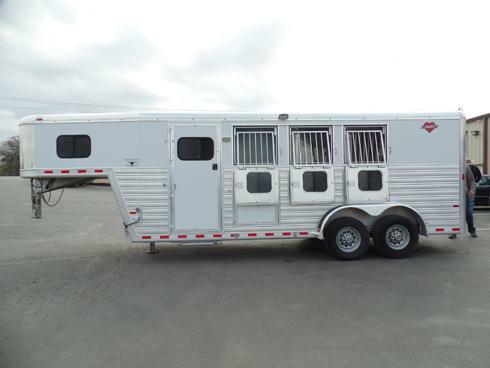 Drop Windows on Head and Hip, Polylast Flooring, Full Stud Divider on First Horse, Mangers, Escape Door, and Lined/Insulated Roof. 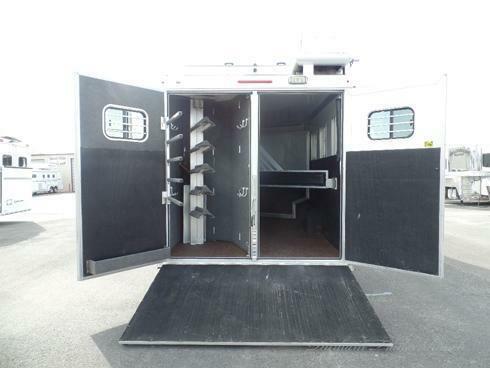 Collapsible Rear Tack with a 5 Tier Saddle Rack, 5 Tier Swing-Out Blanket Bar, 10 Bridle Hooks and Brush Tray. 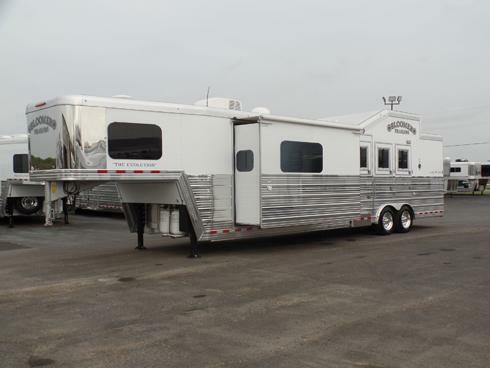 17.5" Tires with Aluminum Wheels, Stainless Steel Nose, Dual Hydraulic Jacks, Dual 30# Propane, Dual Batteries, and Exterior Load Lights. 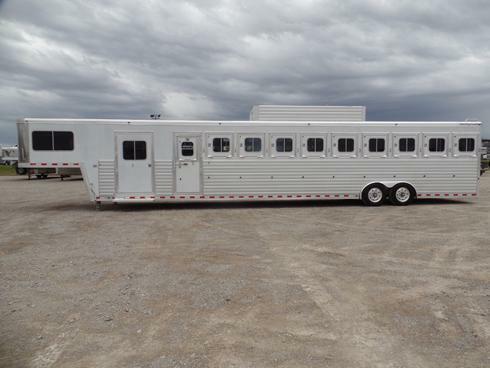 8' Wide, 7'6" Tall. 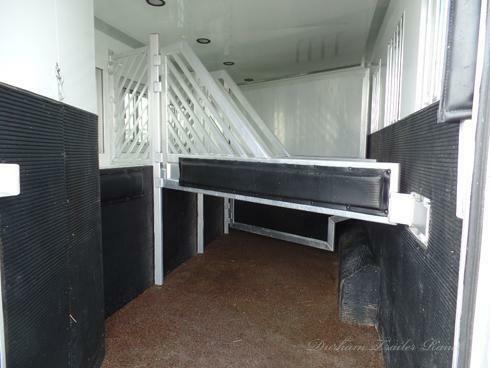 Duster Conversion with a 17' Short Wall and 7.5' Hydraulic Slide. 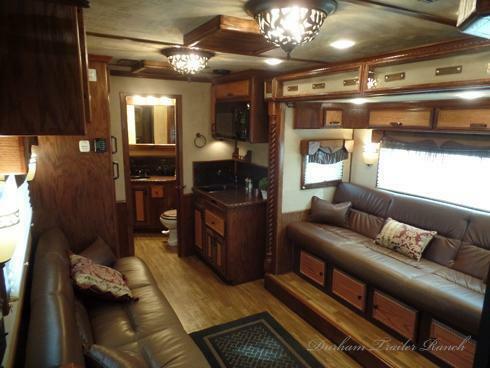 Two Sofa Sleepers, Fireplace with Center Entertainment- Large TV, DVD, Satellite Ready. 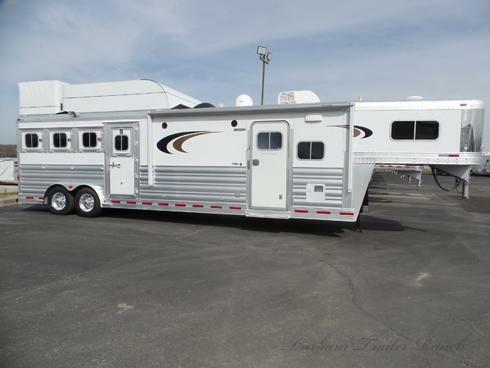 Dual Entry into Sleeper with Second TV and Satellite Receiver. 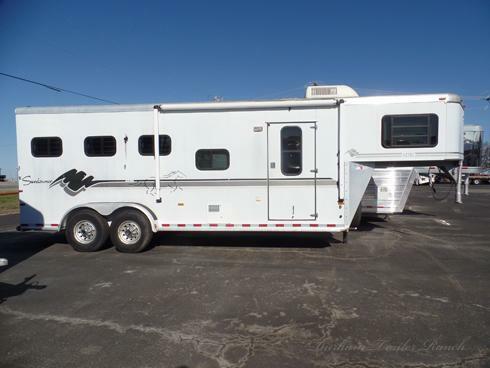 All Hardwood Cabinetry, Kitchen Sink, Recessed Cooktop, 8.0 Refrigerator/Freezer, Microwave/Convection Oven, and a Pull-Out Pantry. 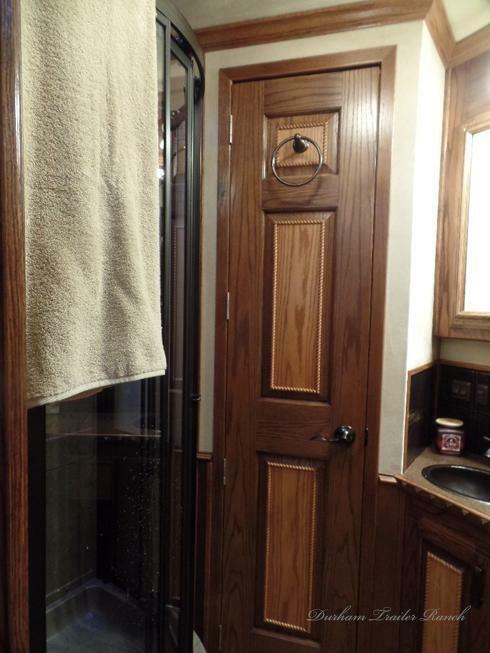 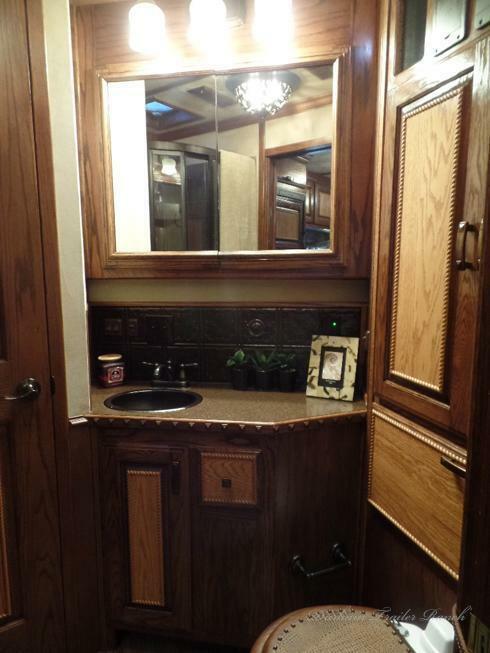 Large Radius Shower, Large Walk-In Closet with Double Rods and Shelving, Bathroom Vanity with Sink, and a Porcelain Commode. 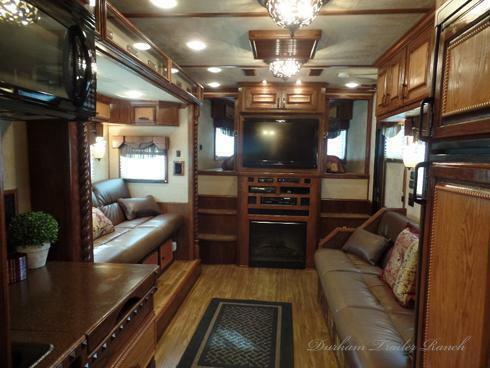 Central Vacuum, Stereo System with Interior and Exterior Speakers, and 2 Ducted AC Units.